Produced by Steve B. Brooks with The American Legion. Read the complete story here..
Michael Malfregeot joined Premier as Vice President/Branch Manager and Small Business and Retail Development Manager. He manages the Bridgeport branch office. Previously, Michael was a VP – Retail/Small Business Development Officer and Manager with MVB Bank, where he managed the Bridgeport and Clarksburg branch offices. He holds Bachelor of Science degree in Management from West Virginia Wesleyan College and a Master of Business Administration degree from Shepherd University. Michael plays an active role in many community organizations in Harrison County. 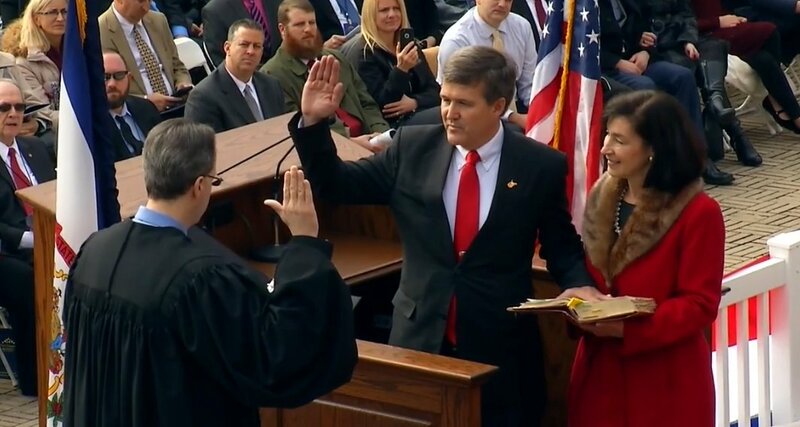 On November 8, 2016, Andrew McCoy “Mac” Warner was elected to become West Virginia’s 30th Secretary of State. Secretary Warner graduated from the United States Military Academy at West Point and West Virginia University’s College of Law; he has two Master of Law Degrees, one in Military Law from The Army Judge Advocate General’s School and one in International Law from the University of Virginia Law School. A decorated soldier, Secretary Warner served as the Chief of International Law for the United States Army Europe, was an instructor at The Army Judge Advocate General’s School, and served on the Staff at the US Army War College. He has been both a Defense Attorney and a Chief Prosecutor. He rose to the rank of Lieutenant Colonel before his retirement after 23 years in the United States Army.